I have been struggling to find an appropriate word for this library, but I guess you can’t just use one word to describe this “little” gem. By “little” I mean humongous. 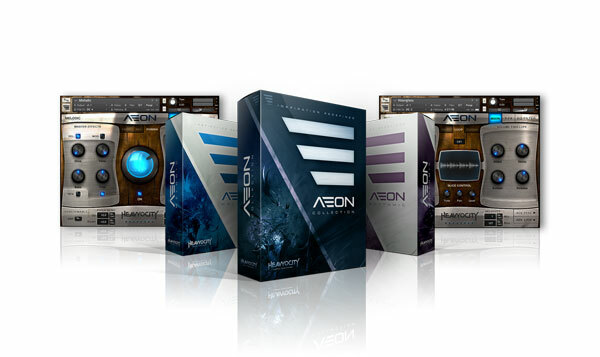 Aeon Collection truly is one big one big synth library. It took me nearly two hours to go through all of the patches without even touching the effects or making anything with them. Please note that this is only my first impression of the library and that the final thoughts will be shared within the next few days. 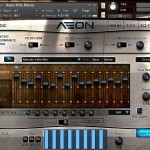 Aeon Collection is comprised of two libraries Aeon Melodic and Aeon Rhythmic both containing hundreds of unique patches. 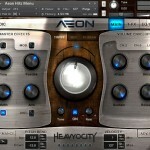 Once you start playing with Aeon you will immediately start getting ideas for new tracks. Aeon is one of those libraries that will instantly inspire you to make new tracks, but eventually it will draw you in to discovering its core, its true potential. There are literally thousands of samples in your disposal to Twist and Punish. 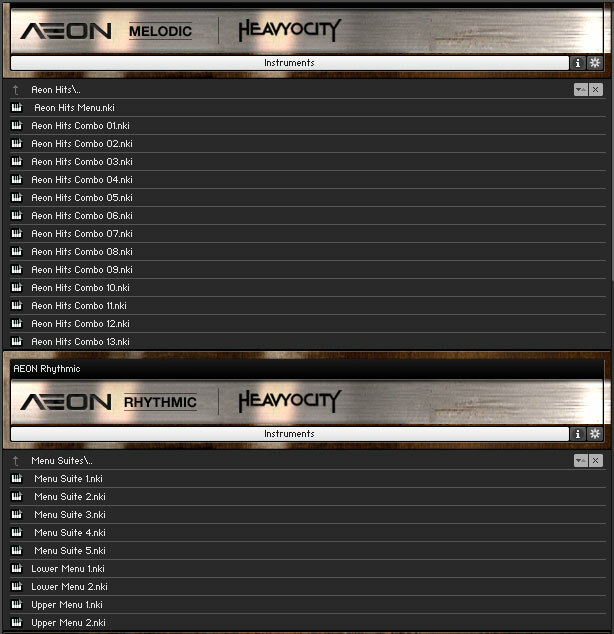 Aeon Melodic and Aeon Rhythmic are both powered by Kontakt 5 Player and can be purchased separatly. FAT, PHAT and FAT. Damage gave us that big percussion sound (I even hear it in many trailers nowadays) and Aeon gives us a really big synth sound (read: which makes those two very compatible). 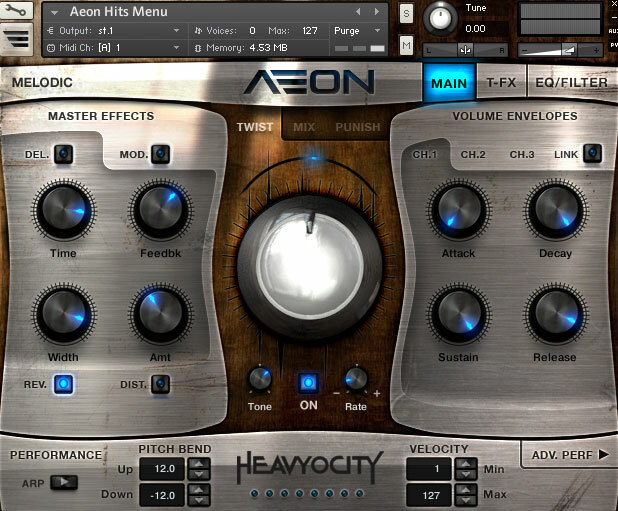 Don`t worry, there are plenty of soft sounds in Aeon, enough to satisfy even the most “non-big sound” composers. 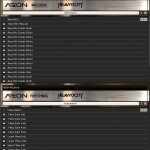 I can see Aeon being used in a lot of film, TV, game and/or any other media projects in the future. 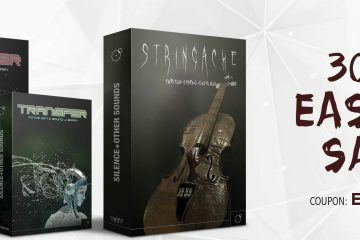 It truly offers a unique modern sound. 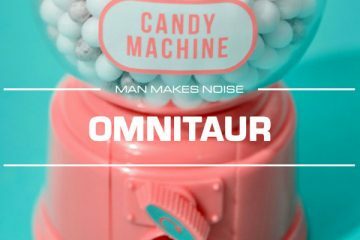 Here is a little track I made using presets only. 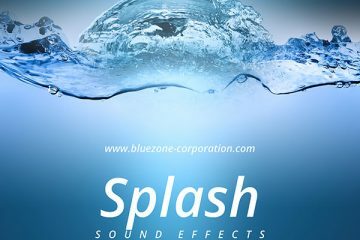 I have added additional drums and percussion for fun. 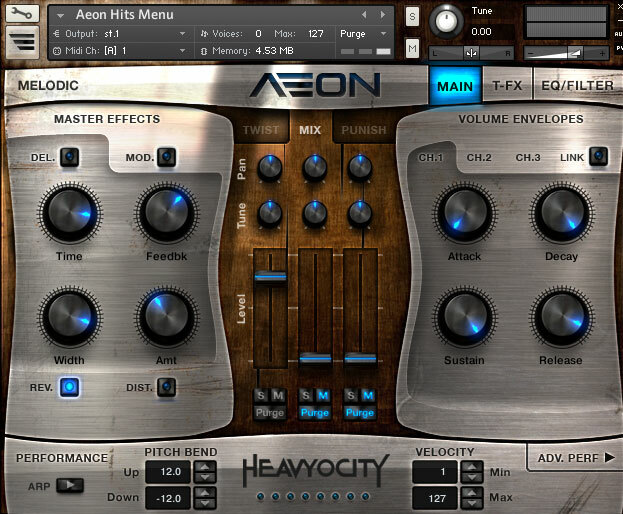 The AEON Collection (AEON Melodic and AEON Rhythmic Bundle) is available for $399 ($349 if you own any of the Heavyocity products). 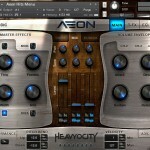 AEON Melodic is available separately for $299. 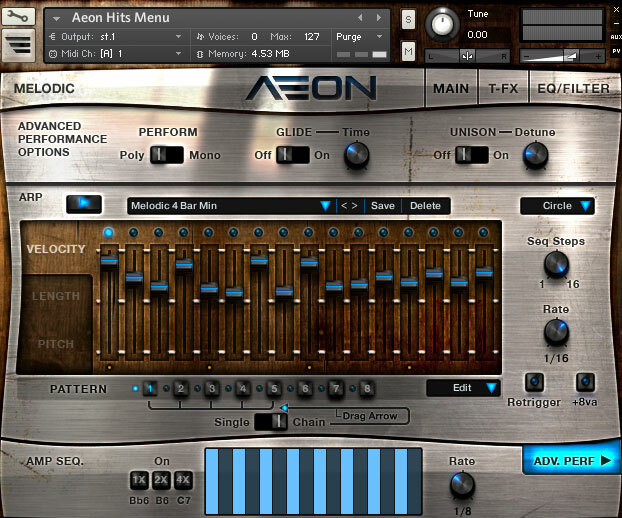 AEON Rhythmic is available separately for $199. Full details about Aeon can be found here or here.